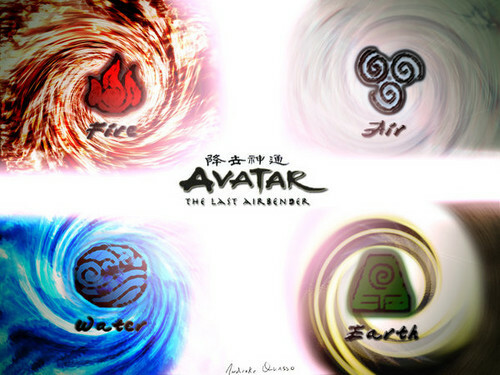 4 Elements. . Wallpaper and background images in the Avatar - La leggenda di Aang club tagged: avatar the last airbender zuko sokka aang bobos toph azula katara. This Avatar - La leggenda di Aang photo might contain compact disk, compact disc, cd, cellule embrionali, cellule formative, embrionale, and cellula formativa.